Lady biker? Mountain biker? Female mountain biker? I try not to be oversensitive, but this was like nails on a blackboard to me and Laura. Why was it so astounding that women can jump too? 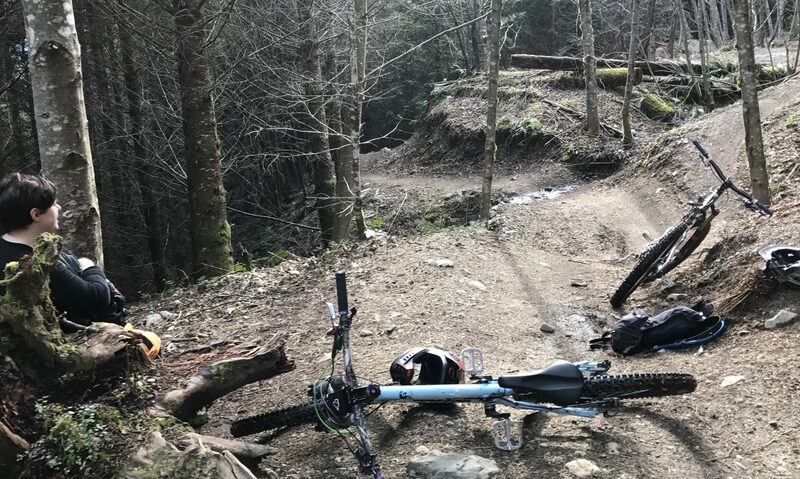 I promise this blog will not be preachy about gender rights and equality, this was just the jumping off point that got me thinking about my experiences as a woman who loves to mountain bike. Then, after comparing notes with some male and female bikers I know, I realized that patterns started to come out as far as our experiences go. It seems that there are some fundamental differences between men and women in this sport. I’m not saying that that is good or bad, but I feel like it’s something worth talking about. These are what I’d like to explore a bit more in this blog; my experiences as well as those of other people. I am also a novice. I rode my first mountain bike about three years ago but really have been only been riding regularly for about the past two. I, in no way, am capable of jumps or drops or completing an enduro race. But I want to get there. In fact, I want to ride the very race that I was watching so many talented men and women complete. So this blog is a few things. It’s some talking points on shared experiences or maybe just some weird experiences I’ve had, it’s some accountability for me to get out and ride because even if no one’s reading this I can say that I’ve ridden and here’s the proof, and it’s also a chance for anyone out there who decides to read see a rank amateur develop. I will post embarrassing videos and pictures showing the ups and downs. I want to see your proud and scary and embarrassing moments as they come. Let’s learn from each other and most important of all: let’s ride bikes!